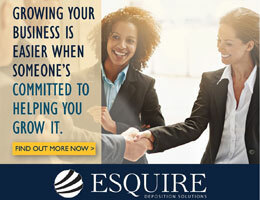 What does it take to get new attendees? NCRA was mentioned in the December issue of Associations Now in an article about attracting new attendees to conferences and conventions. 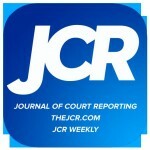 The article cited NCRA’s policy of accepting student sponsorships for its convention from members who are registering. 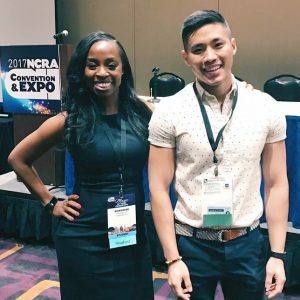 This year, students attending the 2017 NCRA Convention & Expo in Las Vegas, Nev., were treated to a range of different seminars aimed at preparing them for testing, contests, and the real world beyond graduation. Up-to-Speed asked attendees for feedback on the student experience and they shared their highlights of the Convention. The opportunity to network was one of the benefits students mentioned most. “The Convention was very motivational for me,” said Hailey Treasure, a student at MacCormac College in Chicago, Ill. “It was awesome to see how excited all the working reporters were to meet students and to hear them talking about what a good career reporting is and how much they love it after all these years. It was also nice to hear all the tips they had to share for practicing speed.” Meeting other reporters at the Convention was an especially useful opportunity for online students. Attending the social events such as the Awards Luncheon and the “Only New Once” Reception was also a great way to meet and talk with other working reporters. 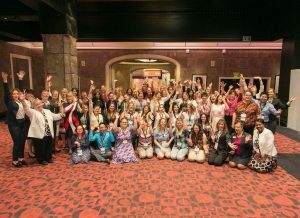 At the reception, first-time attendees shared drinks with the NCRA Board of Directors and the NCRF Board of Trustees. “They were so welcoming and encouraging,” Pepe commented. Of course, networking is just one reason students come to the Convention. Another is to attend the student seminars and learn from the best. Speed dating has become a favorite way to meet people, and the “Steno Speed Dating” session proved no less popular. “It was an awesome way to meet working reporters,” said Treasure, “and to ask all the questions you have about their particular area of reporting.” In this seminar, students sat around 10 tables while professional court reporters, CART captioners, and broadcast captioners rotated from table to table every fifteen minutes so that all students had an opportunity to ask each of them questions. Unfortunately, a power outage at Planet Hollywood (along with Paris and Bally’s) shortened the time for speed dating, but the presenters and moderator Shaunise Day, a student at West Valley College in Saratoga, Calif., moved the session along and got everyone back up to speed. 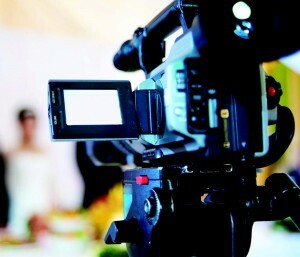 Ashley Hurd, of the Long Island Business Institute in Commack, N.Y., gave the speed-dating session a good review: “This seminar provided excellent tips and advice from professional reporters in different areas. Knowing these reporters were once in my shoes as students gives me hope that I can be successful like they are.” The fast pace of the format kept the questions flowing and the reporters on their feet. Another dynamic session that garnered a lot of attention was “Business of Being a Court Reporter.” Presenters Michael Hensley, RPR; Charisse Kitt, RMR, CRI; Katherine Schilling, RPR; and Jessica Waack, RDR, CRR; demonstrated real-world scenarios in a mock setting to show students the ins and outs of what it’s like on an actual job. The idea was to expose students to the kinds of situations they probably don’t encounter inside the classroom. For Hurd, this session was a way to extend her learning beyond her coursework. “As a visual learner, having this segment for representation was exciting,” Hurd said. “I was able to see how everything I’ve learned in school came to life.” She added that students often question what are “the proper, respectful, and professional ways to interject as a court reporter,” but this session “answered every doubt in a student’s mind.” Presenters also demonstrated the preferred way to conduct oneself around attorneys, witnesses, and judges. For Amy Flaherty, of GateWay Community College in Phoenix, Ariz., this was her favorite session: “It really covered the basics in an entertaining way. Having the panel be so diverse was incredibly helpful. The panel members were down to earth and informative.” Pepe agreed. “Really fun and educational session,” she said. “It was great getting the opinions on how each individual would handle the hypothetical situations. Probably one of my favorite sessions at the Convention!” Interactive sessions like this one infused an element of entertainment and kept the students engaged. What would students like to see more of in 2018? 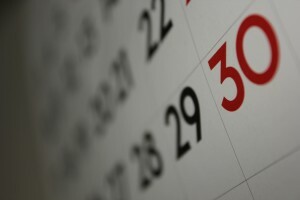 Hurd, the student from Long Island Business Institute, is concerned about scheduling her sessions around her class time and wants to try to avoid any overlap. Pepe, from SimplySteno, would like more time to visit with vendors in the Expo Hall. And Whitney Berndt, a student at Lakeshore Technical College in Cleveland, Wis. is thinking even farther ahead. 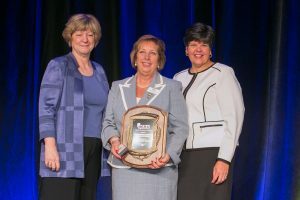 “I would have appreciated an opportunity to discuss the future of court reporting schools, education, and testing to hear how NCRA is dealing with the lack of new reporters and how to get more students out of school.” Berndt will get an opportunity to share her ideas over the coming year as a member of NCRA’s Student/Teacher Committee. 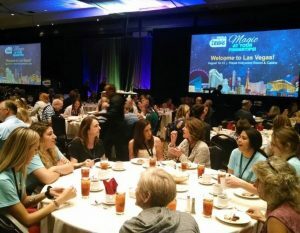 Kendall O’Geil, the Captioning Coordinator for The Captioning Group wrote a Sept. 7 post on the company blog about her experience at the 2017 NCRA Convention & Expo in Las Vegas, Nev. O’Geil, who is an associate member of NCRA in Calgary, Alberta, Canada, highlighted the opportunities to meet captioners she works with in person as well as seeing new and emerging technologies and equipment in the Expo Hall. 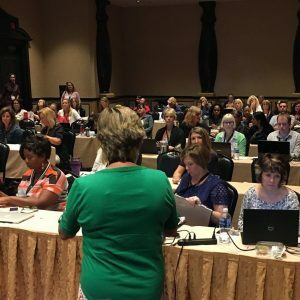 “Even if you are not a captioner, court reporter, or realtime writer in any sense, there is a lot to be learned from attending an NCRA convention,” she said. NCRF’s efforts to commemorate National Purple Heart Day by hosting a Veterans History Project event during the 2016 NCRA Convention & Expo held in Chicago, Ill., last August have earned top honors in the Golden Image Awards sponsored by the Florida Public Relations Association’s (FPRA) Capital Chapter. The NCRF Purple Heart event recently earned an Image Award, a Judges Award, and a Grand Image Award, which is the highest award given, in the category of Printed Tools of Public Relations-News Release. 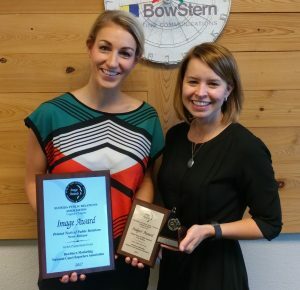 NCRA’s external public relations firm BowStern, which is based in Tallahassee, Fla., nominated NCRA’s effort for the award. More recently, the NCRF Purple Heart effort was showcased in the December 2016 issue of Convene magazine as well as in a May article that appeared in Associations Now. NCRF has been invited to host a Veterans History Project event at the Military Order of the Purple Heart’s annual convention taking place in mid-August in Dallas, Texas. 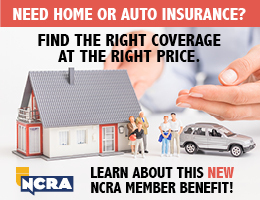 For more information about NCRF’s Oral History Program, visit NCRA.org/NCRF.